Italy is throwing itself a huge birthday bash for the 150th anniversary of the country’s unification. The celebrations will take place throughout the country, with most of the events centered in Italy’s three capital cities: Turin, Florence and Rome. The festivities will commemorate Italian unification, also known as il Risorgimento, or "The Resurgence.” Il Risorgimento was a movement to unite all the various states on the Italian peninsula into a single country. 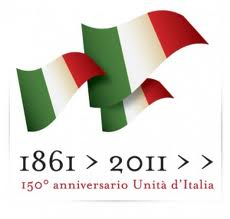 Following years of revolutions, wars and expeditions, national unity was proclaimed on March 17th, 1861 in Turin. Turin then became the new country’s first capital, remaining the capital city for four years until the central government was moved to Florence in 1865. Rome became the final capital in 1871 when unification was complete. The 150th Anniversary events will kick off in March, with the calendar of festivities extending nine months, through November 2011. The unification commemoration will be a mix of cultural events, sporting events and gatherings. There will also be two major exhibits on display in Turin, including “Beautiful Italy” and “Making the Italians.” Beautiful Italy will feature over 350 masterpieces from Italy’s most beloved artists. While, Making the Italians will showcase 150 years of history, explaining the events and leaders that made Italy the country it is today. One of the largest ceremonies will take place in Rome on June 2nd. The date marks the day in 1946, when Italy became a republic after voting for a referendum to end the monarchy. Invitations to attend the celebration have been extended to European leaders, President Obama, and the heads of other countries with large populations of Italian origin. With events spanning from galas to 28-day bicycle tours, there has never been a more exciting time to visit Italy. A full list of events can be found at Esperienza Italia.